I love discovering beautiful ballads and this is certainly one of those! 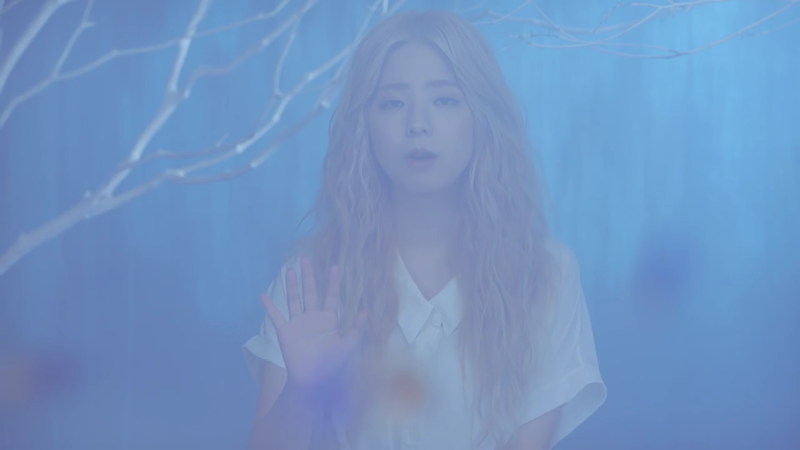 While watching the video, I think Juniel’s ‘character’ was (or still is) in a relationship with JungHoon’s ‘character’, however, somehow Juniel feels that it is her fault for things not being as good as they were. The lately, makes me think that they are still in the relationship and maybe she is apologising now, saying she loves him, and that they should try again. Wow… I was so wrong. So, according to the lyrics (which you can see here), the story is more on the lines of JungHoon’s character not loving her anymore. That their love was rather one-sided all the time, but she is still upset about him leaving and doesn’t want it to happen. She hates that he is saying “sorry” to her because she doesn’t want it to be over. This video was so beautiful. I love videos that are pastel based and this is one of those. I think the colour scheme matched the tone of the song and made this a very visually appealing video. Not to mention the people in it were stunning people. I really liked the scenes where they were together (her glimpses of the past), the colours were warm and they were both cute. front of her, for some strange reason I really liked how the camera focused away from her and then onto the fish that was leaving the screen (maybe it was a metaphor as well as a pretty shot, who knows? haha maybe I’m going too deep with this ^^”). 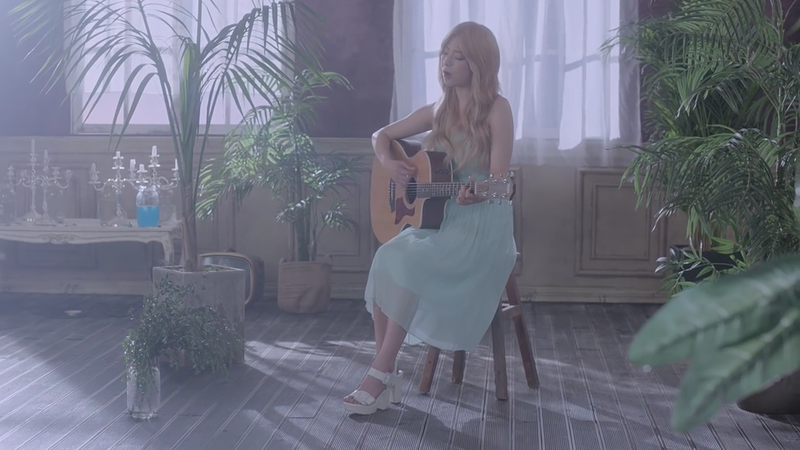 Juniel’s voice is beautiful. I’m so happy that I decided to watch one of her videos and hear her sing. 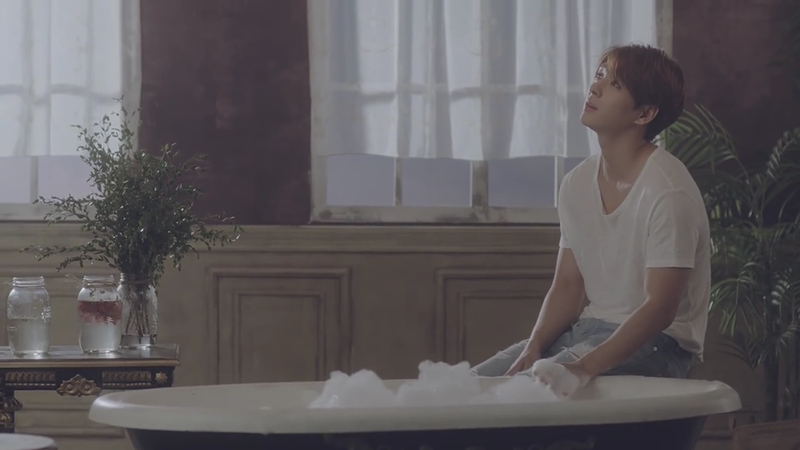 The song starts of soft and has a delicate flow that suits the heartache that is present. The beginning piano piece is a nice opening and blends well with her voice. At the first chorus, the vocals become stronger, as does the music. This gives the chorus a clear distinction and evokes the strong pain that she is feeling. After the first chorus, the music mellows, as does her vocals (although they are a bit stronger. This changes after the second chorus, the soft (yet faster vocals) reappear, which gives the shift back to the very strong and powerful vocals more impact. The solo music that leads the song out is very pretty and is a sort of relief after the pain. Understandable Story-line: 1.5/5☆ (personally I was completely wrong, so I don’t know if I could put anything higher, even though after looking at the lyrics, the video did make sense , sorry *cries*).